Your orders are prepared with the utmost care and are shipped within 7 to 10 days after receipt of payment, with the exception of specific manufacturing lead times as stated by our suppliers on the product information page. 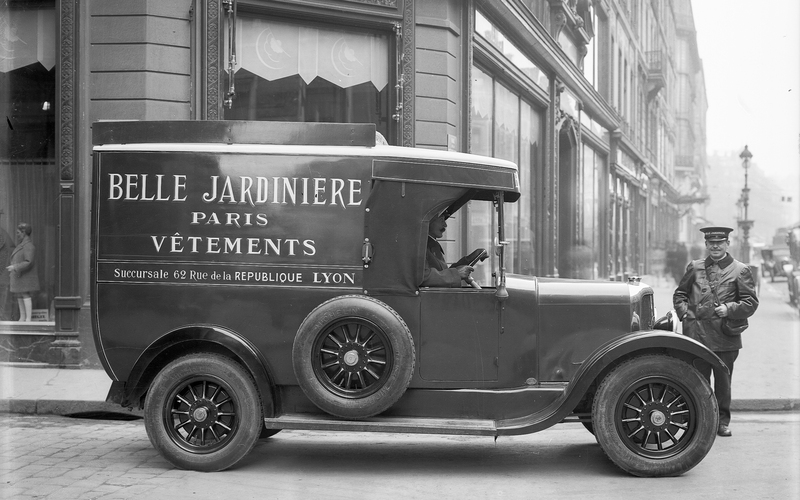 For orders placed within France, deliveries are relatively quick and you have fifteen days to change your mind. The standard shipping method is the Colissimo Suivi, delivered without a signature, via Mistral Service. If you want a delivery WITH a signature required, an additional charge applies. Please contact us. Whatever the mode of delivery chosen, we will provide you as soon as possible with a link that will allow you to track the delivery of your package online. Shipping costs include packing, handling and postage. The cost may contain a fixed element and a variable element based on the price and/or weight of your order. It is recommended that you combine your purchases in a single order. We cannot group two separate orders, and you must pay the postage for each of them. Your package is shipped at your own risk. Special attention is given to packages containing fragile products. We ship internationally to most countries of the world. Any extra customs duties or taxes are the responsibility of the customer. You have 14 days from delivery to return the item without having to provide an explanation or to pay penalties. However, return shipping charges are your responsibility. Returned items that do not meet the conditions listed above (returned in original packaging with original tickets and labels, new and unworn,) or that are damaged or soiled by the customer, will not be refunded. ATTENTION: WE DO NOT EXCHANGE ITEMS. You can only return an item for reimbursement. However, to change a size or a model, simply return your product and proceed to place a new order on the website. **Please send a request to contact@detoujours.com for reimbursement of shipping costs in the event you have placed a second order for the same model of an item in a new size. Go to MY ACCOUNT/MY RETURNS to request a return. Follow the steps, it's easy. Include your Return Parcel Delivery initially received with your order, after being sure to note the products you are returning. DOWNLOAD THE SHIPPING LABEL – affix your shipping label to the package. Once the return is received, the bank account originally used for payment will be refunded as soon as possible, no later than 14 business days after receipt of the items returned.